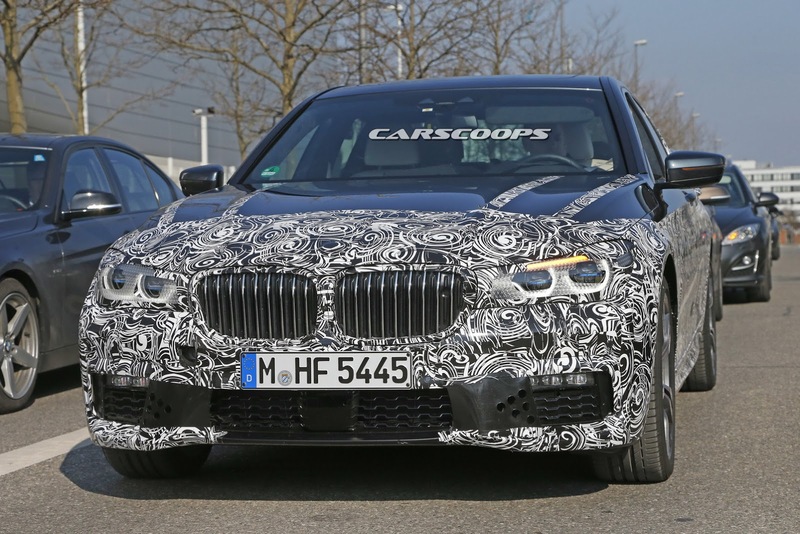 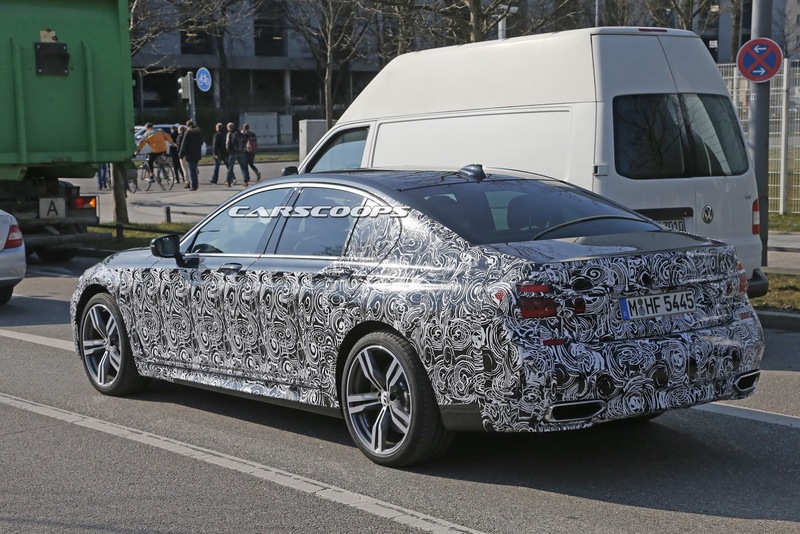 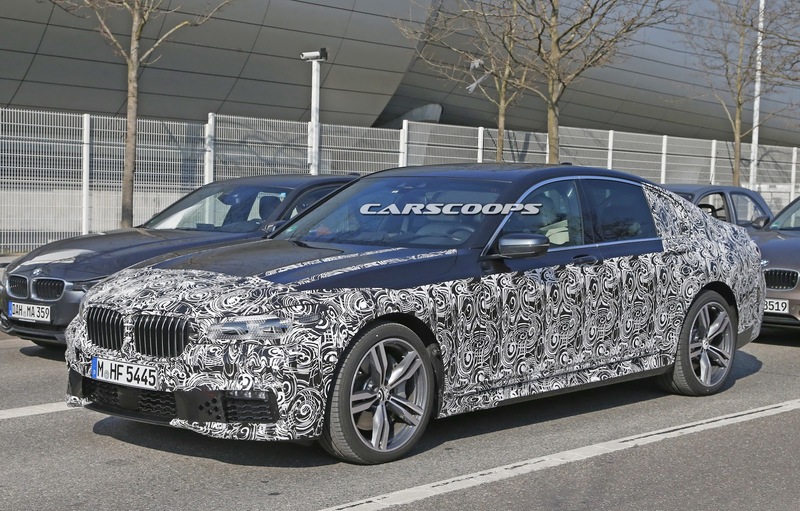 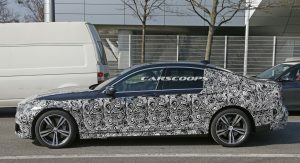 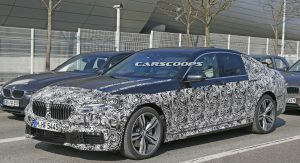 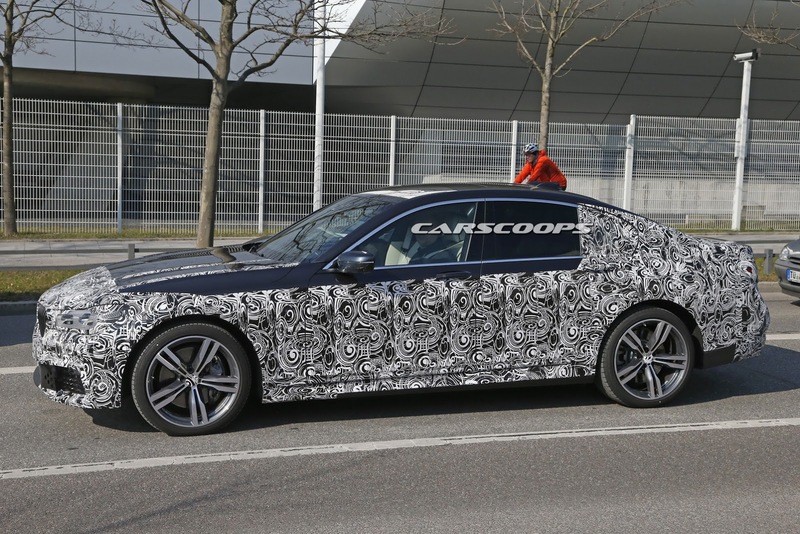 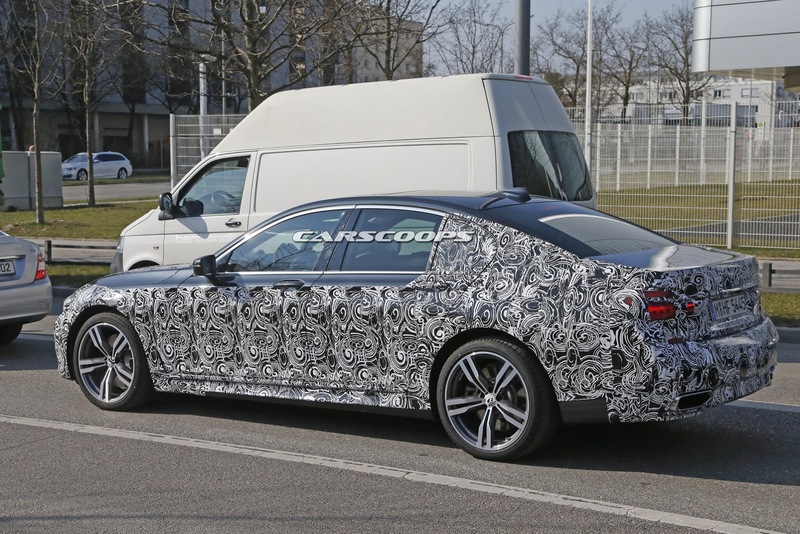 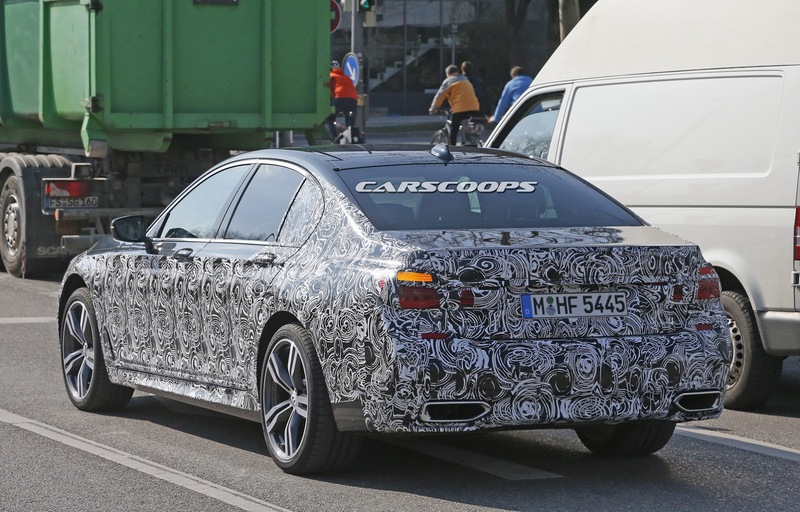 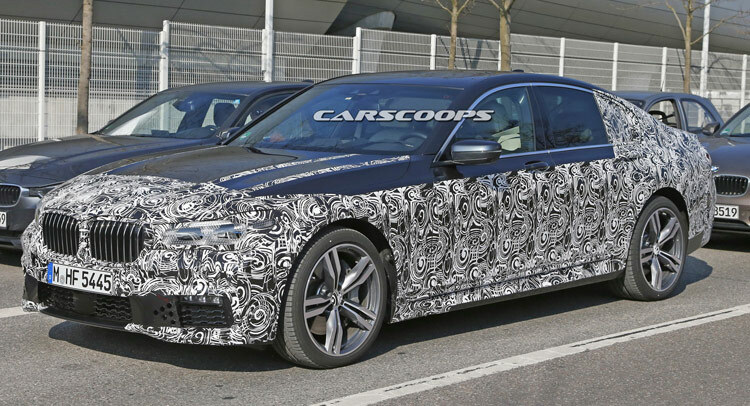 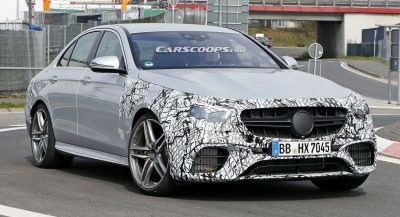 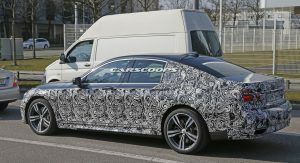 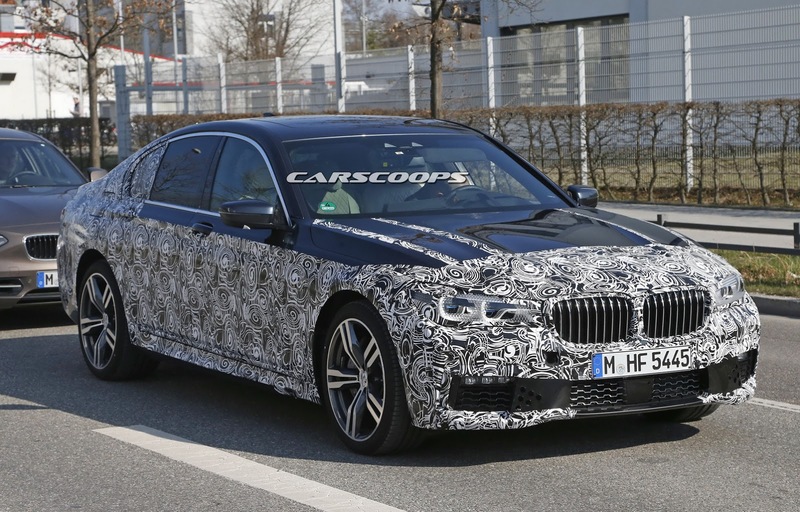 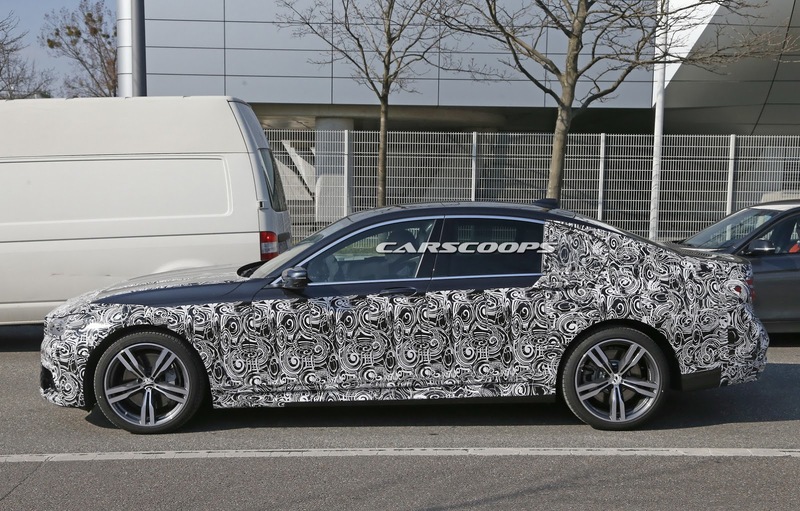 While one may be tempted to say that this prototype is one of the whispered M750d or M770i xDrive M Performance models, we think it’s a regular 2016 7-Series models with an M Sport package. 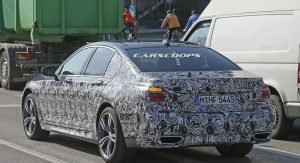 If it were one of the M Performance versions that are said to join the G11 and G12-codenamed 7-Series’ range, it would likely feature additional styling cues such as small boot lid spoiler, black-gloss instead of chrome window line, exhaust and double kidney grille trimmings, and silver mirror caps. 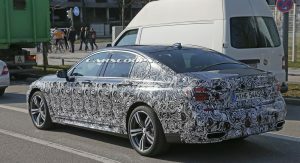 This 7-Series tester has the regular M Sport appearance kit that includes bespoke front and rear bumpers, side skirts, rear diffuser, and bigger alloy wheels wrapped in lower profile rubber. 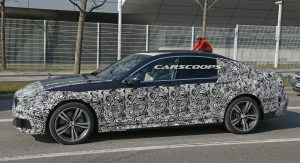 Sport seats and M steering wheel along with anthracite headliner and different trims inside should complete the package. 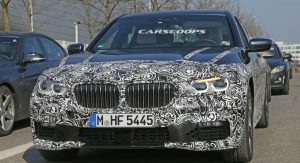 As for the M Performance models, the rumor mill is talking about a tri-turbocharged M750d diesel with close to 400 horses, and an M770i xDrive with a twin-turbocharged V8 producing around 500hp, but BMW has not confirmed anything yet. 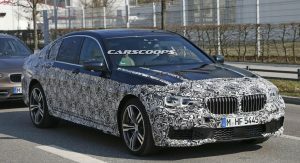 BMW might show a pre-production study of the next 7-Series at the Shanghai Auto Show before hosting the world premiere of the production car at the Frankfurt Motor Show in mid-September.